The maladies bedeviling the Nigerian Homo Sapiens in her struggle for survival, transcend Darwinian evolution theories of Natural Selection in the Origin of Species– It is indeed fact, being Nigerian is daunting. It’s as though our creator dealt us a wrong stack of cards- bad leaders, bad citizens, and a truck load of bad luck. Nothing good happens. And when we try to make good of ourselves, something sinister piles up on our plate. For example, we were sprinkled some cosmic dust of “Goodluck” (with high oil prices, awash with Foreign Direct Investments) yet at the same time Boko Haram sacked communities leaving the smell of charred flesh in its wake. The memories of Chibok and the Aluu four massacres linger, not to mention the iniquitous thievery that took place in that administration. The flicker was doused. Enters Sai Baba, who ironically benefits from a process he truncates years before, ushering hope by his victory over the almighty PDP. Buhari came in at the time Nigerians were fed up with the draconian party at the centre. And you would think, finally, we can claw ourselves back from the pit. But with Jonathan out of the way, our luck turned for the worse: oil prices plummeted and our reserves took a hit not imagined by economists. A renewed militancy erupts in the Niger Delta championed by the Avengers while IPOB & MASSOB spark flames in the South East. Consider this, with Buhari, there is “no corruption” (at least not as glorified as it was with his predecessor) but we have to contend with new devils compounded by a ravaging recession. Buhari’s government has no clue yet on what to do, little wonder our citizens scurry towards danger like Alice in Wonderland going after Ponzis such as MMM and ultimate cycler in other to make ends meet. If you take the biblical account of the Tower of Babel seriously, it would suggest that all a nation needs to prosper even if their creator didn’t approve is to cooperate in whatever goal they set out to achieve. Cooperation as a nation is easier said knowing Nigerians well enough. We never agree on anything, even obvious problems. Issues are peered through cultural, ethnic and religious kaleidoscopes. Our moral compasses oscillate towards the satisfaction of our bellies and we have altogether lost our way (if we ever had one). Does this mean Nigerians never come together at all? Yes, we actually do. Soccer brings us together! Remember how Rashidi Yekini, screamed out his lungs when he scored against Bulgaria in the world cup? The country was united. Remember Nwankwo Kanu’s miraculous chip against Brazil? Yes, that brought us together too. In fact after we won Atlanta 96, people filled the streets chanting and singing, not minding the language spoken. But these sporting events are few and far between and are usually short lived. Sports are a good rallying point, but it doesn’t hold the centre for us in the long run. So what else can be a unifying factor? Famous televangelist, TD Jakes says: “Nothing brings people together like adversity”. And he is right. Death in the family brings relations from far and wide. We see how America came together when tragedy hit them on 9/11. America was unequivocal in its stand against terrorism the way South Africa was united against the apartheid government of FW de Klerk. Nigeria has had her share of adversity- the Civil War; Kano riots in 91 & 2001; Jos killings; Cynthia Osokogu; Mubi; Ikeja Cantonment mayhem; Independence Bomb blast; Madalla, June 12 and the fuel hike protests of 2013 among many others. But each time, the disasters wore a different color of interpretation depending on what religion, ethnic group, or culture you gleaned it from. We may have come together in these times but it is my opinion that these tragedies never defined us as a people the way 9/11 or apartheid did for America and South Africa. There was no common ground. There were in fact people who blamed Cynthia for getting lured to a hotel room; others defended the Aluu killings because they believed Lloyd, Chidiaka, Tekena and Ugo were members of some cult. There is perhaps only one event where Nigerians saw the struggle through from start to finish. It was not a political tussle, or a civil rights movement or a protest against unlawful killings. It was a fight to save and preserve our individual lives. It was the fight against Ebola. The fear of death from the Ebola Virus gave us a unifying language. The market woman in Kafanchan and the student in Ilorin greeted with their elbows. The prostitute in Obalende and the priest in Mbaise understood the language. There was neither friend nor foe when life was concerned. Bribes couldn’t get you into any public building without the use of sanitizers. Nigerians who would otherwise never obey simple instructions now wash their hands. Why? These examples illustrate how individualism (or selfishness in this context) can be used to save the community. Usually it is our inherent selfishness and lack of consideration for others that make us cut corners. We take bribes in order to stop protests not minding if the objectives are achieved. We support thieving politicians and protect them with the “our son” mantra. We inflate contracts and still never build the roads not caring that pot holes kill people. We skip queues at banks and airports by settling attendants, just because we can. And recently, to think that food items desperately needed by Internally Displaced Persons (IDPs) who have gone through so much pain can be diverted by their own kinsmen privy to their plight would make you cringe at the deep seated selfishness in every one of us. Nigerians are selfish at heart. But have you noticed how we obey flight attendants who ask that phones be switched off before take-off? And how everyone rallies against the passenger who just doesn’t get it? Because, nobody wants to die. We will shelve our individualism for the collective interest of everyone so long as it spares us also. Our love for self is brought to the fore, but this time for the common good. The support for the flight attendant could in fact potentially save the plane couldn’t it? Now, how can convert these individualistic tendencies to benefit the generality of Nigerians? In the movie, Beautiful Mind, John Nash (Russell Crow) captures this concept brilliantly when he refutes Adams Smith’s claim on the positive influence of competition (individualism) alone. Nash was of the opinion that competition is only positive if it benefits the group (collectivism). Nash adds: “In competition, individual action (should) serve the common good”. He further explains: “It is not from the benevolence of the butcher, the brewer, or the baker that we expect our dinner, but from their regard to their own interest. Nash’ argument was that when one does what is good for him and also for the group (or community) the system benefits more. Simply put, if our individual interest benefits the overall interest of the society, then that interest is worth doing but if it benefits us alone, it should not be done. What if major fuel importers thought they would make a better profit investing in building refineries that in importing fuel because it would benefit the country more in the long run? What if having only one chamber in the National Assembly would benefit the country more in the long run? What if our lives actually depended on this, wouldn’t we be willing to make the necessary sacrifices? So many “what ifs”, but it is clear that focusing on ourselves rather than the group is costing us more that we can accommodate. The world is moving on, and every country is adapting and finding ways to survive as species often do. Our failure to adapt is causing the “extinction” we presently face. Whether we live or die is left to us but the solution is clear. All we need to do is to love our fellow man as ourselves and possibly more. I took a four-day hiatus off work to visit family in Calabar, the capital of Cross River State in Nigeria. Having never been to Calabar this was going to serve both as a family reunion and an expedition of some sort. I knew a thing or two about the place. The city Calabar served as port for transportation of slaves to Europe. Many “Cross-riverians” still bear names handed to them by slave masters. Calabar is also home to fine cuisine. It is near-impossible to choose between delicacies edikang ikong, afang, and four-o-four (dog meat). The people also have unique, mythical characteristics; their women are said to be beautiful, voluptuous, possess magical culinary skills and are enchanting in bed. In politics, Margaret Ekpo, the rights activist, who fought for women civil liberties, gained reputation as a member of the regional House of Assembly from 1961-1965. Calabar is one of many tourist destinations in Nigeria but unlike other tourist attractions, the state has made out a global brand. Donald Duke, a former governor of Cross River played a pivotal role in making this possible. The Calabar Festival he inaugurated is the biggest tourism, leisure and entertainment programme in West Africa. It is held in December to celebrate and usher in the New Year. The other key feature in Calabar is Tinapa. Tinapa was built to be a business and leisure resort meant to take tourism to a whole different level in Nigeria. The project was initiated with a dream to make Calabar a hub for business and entertainment. Duke sought to create a tourism ecosystem in Crossriver State with Obudu Ranch and Tinapa at the centre. Development of Tinapa was buzzworthy—after all it only cost over $400 million! In fact Tinapa was to be the centre of Nigeria’s free trade zone. It would attract investors from all over. Personally, it wasn’t a question of if I was ever going to Tinapa but when. No one could wait. It was like waiting for the first match of a World Cup. So I knew that even though I had heard and read negative reviews of Tinapa, I still needed to see for myself. Tinapa is twenty minutes away from the city centre. Trees arched forwards towards the centre of the road on both sides of the high way, leaving huge shadows overlapping on cars. My party and I made mock videos as though we were real tourists and titled it, On the Way to Tinapa. I expected more from the ambience on our journey there and found it to be unexciting. The streets were half empty and there were no road signs that made our destination special from say going to church. I have visited tourist attractions in London, Dubai, Nairobi and Accra and I expected more from the journey. An ominous feeling began to set in: Maybe Tinapa was dead after all. We finally made the left turn that brought us into Tinapa. Our first stop was the Water Parks. My enthusiasm surged again. Men, women and children were present. This area of the resort was functioning though not at full capacity (sounds like a refinery innit?). A bunch of freelance photographers scampered around us in hopes of taking and selling pictures. “Bros, make I snap you and madam,” one quipped. I was armed with my Ipad. My wife had a Samsung phone and my mother an android device enabled with a camera. We declined their offer. We paid and went in. I was impressed to see the pools properly maintained. The Water slides were not in use but this was probably because no one showed interest. Next stop: the shopping malls! What shopping malls? And that was where the Tinapa cookie crumbled. It was a ghost town. There was nothing, nada, zilch. Virtually every store was closed or had nothing to sell. Shopping ought to be the centre of Tinapa. Nobody flies from Lagos or London to have a good swim. In fact the market survey that propelled the Tinapa project forward revealed that at least 500 Nigerians leave the country on nine different flights daily with each traveller spending on average 1.2 million naira in travelling and shopping cost. Tinapa was developed to save Nigeria about N200 billion annually from capital flight. We eventually found T-mart, a store running clearance sales (They probably were also on their way out). There was no light in the building so I brought out my phone and found the torch app to help us find our way around. It was like a scene from National Treasure. We picked some clothes and headed for the till. At this point, I couldn’t hide my disappointment. “Oga, abeg who get Tinapa? Na Government?” I asked the attendant. I needed to put things in perspective; I needed to know who really was, is to blame for the mess. “Na Cross River,” he answered, his patriotism tinged with shame. My phone rang. On the other end my friend inviting me for his sister’s wedding in Lagos. “Now I do”, I didn’t say. I strongly believe the situation at Tinapa can be turned around if proper planning and management is employed. Certain factors such as government bureaucracy, insecurity in the Niger Delta, and kidnappings, contributed to the failure of Tinapa. Global terrorism especially that posed by Boko Haram has slowed down tourist into Nigeria. Some steps have been made to save the project though. AMCON’s acquisition of Tinapa may be a blessing in disguise as it has given Tinapa a new lease of life. Ebony Life TV (A black Entertainment and Lifestyle network) has taken up residence on the Tinapa Campus. This has also helped drive some traffic into Tinapa. It is unclear how long this turnaround will take but it is a road that must be travelled. The Canary Wharf (a major business district is one of the UK’s two main financial centers) recovered from an initial hiccup and the same can be done with Tinapa. Tinapa faded behind us into the clouds as we drove back home. It was less spirited; no chatter or video footages to pass time. Yes, I had found Tinapa but did I think I would ever come back? Probably not! The Goodluck Jonathan administration is in its twilight. There is a chance the President will get another shot at the top job if he wins a second term into office. But let’s ask ourselves a question: What if he doesn’t return reelected; are his achievements impressive enough for Nigerians to remember the President for good? Right now, the answer may well be in the negative. Jonathan’s presidency has been beleaguered within and out with criticism especially because of the Boko Haram leads insurgents and incursions in the North-Eastern part of the country. Important aspects of National discuss critical to Nigeria’s development such as the economy, power, education and road infrastructure have taken the back seat. It is unclear the direction Mr. President has taken the nation in the last four years. The transformation agenda has been more a rhetoric than a blue-print. Although the Presidency will lay claim to some accomplishments; on the whole, they are not enough to save Jonathan’s name for posterity. On foreign policy, Jonathan’s administration has made commendable progress. Nigeria has responded promptly and responsibly to the needs of her citizens abroad. For instance: when the issue of the £3000 visa bond by the United Kingdom came up, the Nigerian government rose to the occasion. Also, after South Africa deported Nigerians for allegedly possessing phony yellow cards, the Nigerian Government responded in kind. Nigerians felt proud and a level of patriotism was palpable because we saw that the government would come to our defense whenever the need arose. 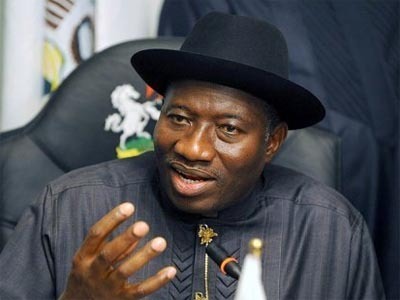 Under Jonathan’s administration, Nigeria also assumed membership of the UN Security Council. Furthermore, trade ties with the Asian giant, China have been robust under the Goodluck era. On the African continent, Nigeria may not possess the “Big Brother” mien she did under Obasanjo (in trying to stabilize other African countries’ democracies) but she is well positioned to assert herself in the committee of nations both in the African Union (AU) and the Economic Community of West African States (ECOWAS). Still, the president’s progress in foreign policy is not enough and will not guarantee Goodluck’s legacy. If there was ever any area one could call a “quick-win” for the President, it was in power. A solution to Nigeria’s power problem is sure to confer a “savior-like” status on anyone who delivers on the mandate. Nigerians have not seen remarkable improvements in this sector even after the privatization of the PHCN. A large number of people still live in darkness and have to generate their own electricity. Despite the 7% growth in GDP between 2002 and 2012 and the increase in Foreign Direct Investment (FDI) into the country, it would be near impossible for this growth to be felt by the poor without stable electricity. The much talked about diversification of the economy through agriculture is still a work in progress. Nothing this administration his working on is complete! So here again, Jonathan will not be venerated for his efforts in the economy and agriculture or for improving power. The Obasanjo era achieved better in terms of debt relief, telecommunications and banking reforms. As outlined earlier, Jonathan’s administration may have made some strides in some areas but these developments are too slow and too minuscule to give a long lasting legacy. It is becoming clear that it is the security challenge that will define Jonathan’s legacy for good or bad. Violence linked with Boko Haram have claimed at least 10,000 lives. Boko Haram have burned schools, killed teachers and raised churches and mosques. They have gone after traditional rulers and governors. Women and children have turned refugees in their own country. The physical infrastructural damage run into billions of naira while the psychological cost will not be quantified for years to come. Boko Haram is public enemy number one. This terrorist group sunk a new low when they kidnapped over 200 Chibok girls in the dead of the night. The world was aghast and queried the government in power whose responsibility it is to safe-guard the girls. Celebrities and notable figures around the world including Michelle Obama got on #BringBackOurGirls campaign demanding the release of the girls. Jonathan’s administration floundered in its military and media response following the abductions. World-wide criticism from local and foreign media including Aljazeera and CNN did not spare disparaging remarks on Mr. President and his armed forces. Jonathan’s already wounded image took yet another plunge. In a self-redeeming effort, the President put up an OP-ED in the Washington Post explaining his silence over the Chibok abductions. The editorial has done little to help him because so long as the girls remain at large, it is considered another failure in his responsibilities. There is a growing hopelessness and despair about his leadership style and Nigerians and the world await any kind of good news about the girls and the security of the country. 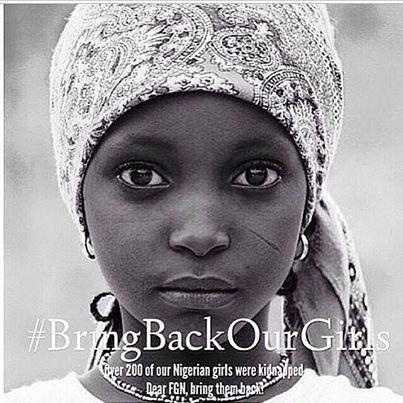 I am certain the Chibok abduction would define President Jonathan’s administration forever. He has done well in trying to galvanizing international support in fighting terrorism in Nigeria. He has also sought more funding (about $1 billion) from the National Assembly to fight terror. As much as Nigerians want Boko Haram stopped, we are also skeptical to believe the money would be utilized for what it is voted for given our antecedence with corruption. It would indeed be sad if this money find its way into private pockets. While we await the findings on the $470 million invested in the procurement of CCTV cameras in the FCT and Lagos; we are yet to highlight a single crime that these cameras helped prevent since their deployment. Although Boko Haram is the obvious threat to our dear nation, corruption is the cancer that has made Boko Haram’s activities thrive. Aside from security issues, our inability to prosecute corruption has undermined Jonathan’s efforts to transform Nigeria. It is fact that the EFCC is no longer revered like it was under Nuhu Ribadu. Under Late President Yar’Adua, Farida Waziri lead the arrest of ex bank chiefs accused of corruption. There was ‘sanitation’ of the banking sector that saved Nigeria’s economy from taking more damage from the global melt down. Under this administration, Nigeria has had to rely on the British Justice System to bring her citizens to justice. This President has also pardoned crimes that bother on corruption. It is the prerogative of the President to pardon whoever he wants, but he pardons send a clear signal to the world that President Jonathan’s anti-corruption mantra was a tale for the moonlights. A television advertisement has tried to draw a parallel between President Jonathan and great leaders such as Nelson Mandela, Lee Kuan Yew of Singapore and President Obama. Our President must know that these great leaders are praised for actual achievements and not for campaigns. These men stood up for something or against something and these defined their legacy. Mandela stood against apartheid and stood up for the rights of black South Africans. Lee Kuan Yew grew Singapore from a just another country to one of the most developed in Asia. And of course President Obama brought a new meaning to the word-change- when he defeated John McCain in the stiffly contested election to be the first black President of the United State of America. It is a good thing that President Jonathan has set such high standards for himself and aspires that his name be called in the same breath as such great figures; but this can only be done if he achieves the mandate he was actually voted for and not with foreign PR firms helping to launder his image. Whether he likes it or not, President Jonathan’s actions or inactions regarding security especially the return of the Chibok girls will be the defining moment for him. Winston Churchill will forever be known as the man who in war time rallied the support of the world especially President Franklin D. Roosevelt of the United State, against the evil Adolf Hitler. It is clear that the war defined Churchill’s legacy. President Goodluck can do same and can be that man who will lead Nigeria out of the doldrums of terror. He can be that man if he decides to face the battle headlong devoid of political interests. Nigeria has had more than her share of killings. The security problem has claimed innocent lives and the blood of the innocent knows no religious or ethnic cleavage. There is no Christian, Moslem, North or South divide when it comes to life. The air we breathe has no color or race or religion. President Jonathan must be that man to bring Nigerians together and win the fight against terror which has tried to change the way we live. He can bring his people together like President Bush did after 9/11. He can show us who we are as Nigerians. He can inspire faith in him once again and it has to begin with bringing the girls home. Gandhi did it, Mandela did it and Obama is doing it. President Jonathan, can also achieve greatness if he will just put his personal ambitions aside and put Nigeria first. That is the only way he will succeed. Nigeria will work someday, I am certain of it, but whether it will be Jonathan who would lead the people from the wilderness into the promise land, time as they say will tell. “No, I wasn’t hurt by anyone Esther”, Salamatu said shaking her head. “See”, Salamatu said, revealing blood on her thighs. “How long has it been on”, Esther asked. “Here, take this small towel. I used it last week when mine came. We can always share. Kunle Afolayan’s Figurine (subtitled: Araromire) seeks to change cinema culture in Nigeria- he wants viewers to think about film not just see it. We are moved in time to 2007; Sola and Mona are married with a son and another baby is on the way. They are rich and happy. Femi is also well off. He has had a very impressive run in his company. His respiratory problems have vanished, his father’s cancer has gone into recession and he doesn’t use his glasses anymore. The three meet again after a seven year separation at a party hosted by Sola and Mona. Femi’s feelings for Mona is evident even after seven years and he seems not to be interested in any other woman, not even the forceful but delectable Ngozi played by Funlola Aofiyebi. The Yoruba language spoken sometimes in the movie helped create a certain level of realism. The characters spoke Yoruba to themselves in private and reverted to the English language for more formal conversations as regular people would in real life. This level of detail would ensure a wider audience watches Figurine. 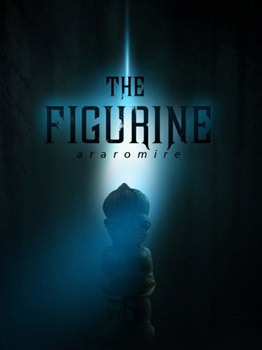 The movie shifts to second gear when Mona visits her college history professor where she recognizes a picture of Araromire from a text of the figurine in her husband’s study. The Professor relays to her the myth surrounding the seven years of good and evil. Something doesn’t feel right by her. She starts to worry and then begins to piece information together; the sudden wealth and prosperity in career and family begin to make sense. Mona admits to Femi in a private meeting that she and Sola had lived a charmed life for seven years. By now, Afolayan knows he has the viewer’s attention. At this stage, because we know the seven years of prosperity are up, we anticipate calamity. We expect equilibrium and normalcy restored. Femi’s character makes this possible and sends the movie into third gear. The viewer begins to think… He does not picture murder and obsession in Femi’s personality. He certainly doesn’t fit the profile of a psycho killer who orchestrates a fourteen year plan. Afolayan doesn’t leave us wondering, he shows us Femi’s motive and intent. Like a good story teller, he shows as well as he tells. The viewer begins to understand (and probably accept) Femi’s actions in reclaiming the love of his life. After all, “all is fair in love and war”. Figurine ends with the question: what do you believe? 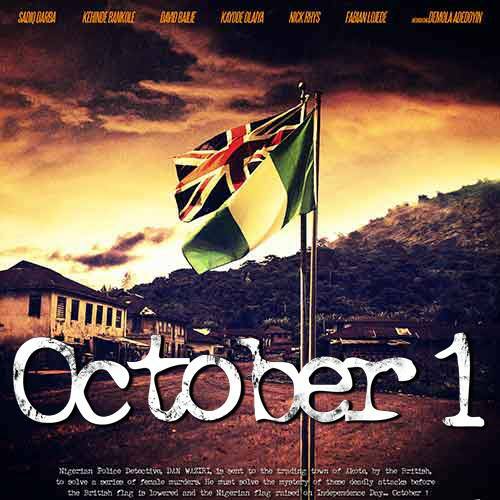 The intention is clear though- Afolayan set out to make a mystery movie that would engage the faculties of the viewer. On one hand, it is said: “who the gods want to kill they first make mad”. So it is possible that Femi was a pawn in the hands of Araromire and therefore we may conclude that Araromire set the tone for the love affair and the convergence at the Youth Camp just to destroy them. On the second hand everything could have happened by sheer coincidence. Viewers of Figurine: Araromire will leave the cinema neither happy nor sad. They will ask themselves questions, thus fulfilling what Afolayan set out to do: make us think. CHRONICLES OF AREA X POLICE STATION: CORPORAL RASIDI MANA (PART 3).